Are you having a very lavish dinner party with some of your favourite guests coming home for dinner? 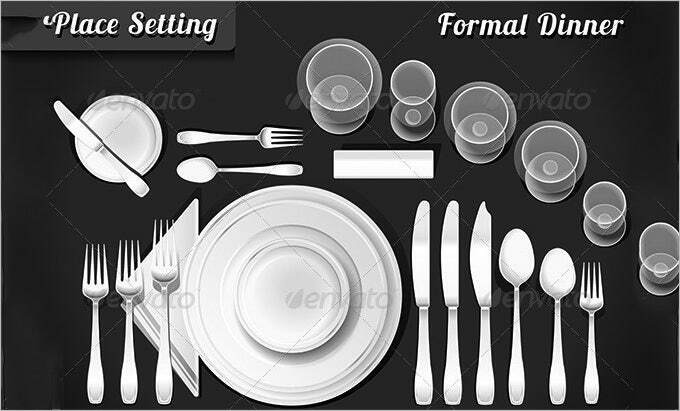 It might seem like it is a very trivial thing to bother about table setting template but most times it is what you don’t get right. 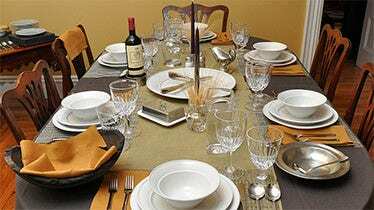 Setting up a table is not just a very confusing thing to do, but something that table place settings you just have to get right, especially if your guests are the kind of people who really care about the right etiquette. You can also see Goal Setting Worksheet Templates. 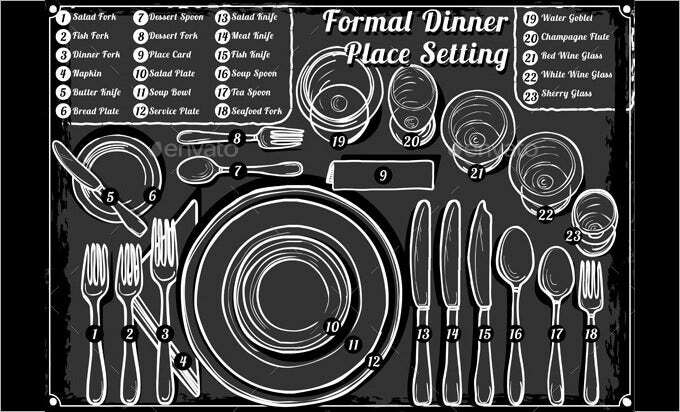 If you have no idea how you should set up your table, let us help you out with our formal place setting templates. These templates have got some great arrangements you can make with your dinner set. They tell you exactly where to place your plates, your spoons, knifes, glasses, napkins and just about everything. You may also see Goal Setting Templates. If the guests that are coming over to your place for dinner are too particular about dining table etiquettes, then you will never be able to impress them with good food alone. You will have to show your place setting skills as well. 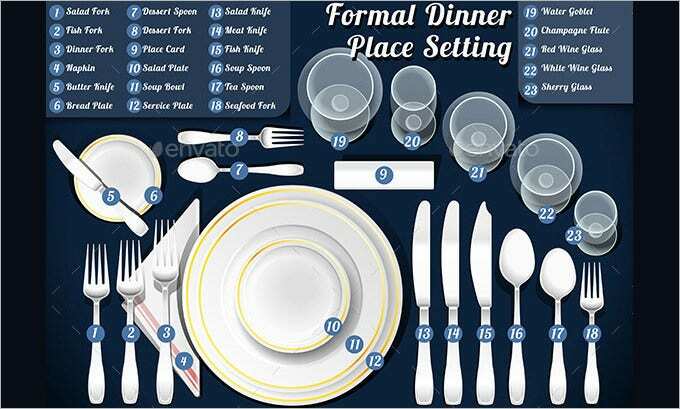 If you are short of time, then these Formal Place Setting Templates will help you immensely. The use of numbers to indicate each item in this Dinner Table Place Setting Template and a description against each number has given it an out-and-out professional look. This template is not only meant for people who have difficulty setting their table but also those who are not aware of the names of the items used for place setting. What sets this Place-Setting-Template apart from many others in the fray is the use of contrasting colors like white and black in it. This skillful use of colors has not only made the template aesthetically pleasant but also easy-to-follow. Opt for it to impress your guests with your unbeatable and unmatched, newly learnt table setting art. We have got a host of ideas for you to set up a dinner table that you could use. Choose that place setting template that you think is perfect for your night or for your guests and download place settings for free. It’s bound to guide you to get that perfect dinner set arrangement on your table and thereby make your dinner party an event you’re never going to forget. 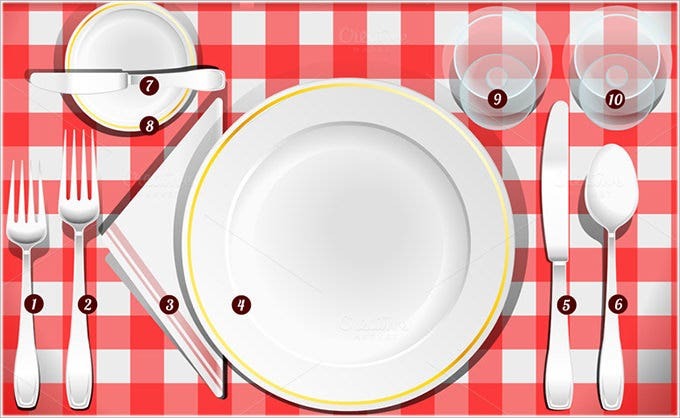 > Why learning Place setting may be difficult? Place setting of a dining table isn’t as easy as it might seem. Most people do it but only a few do it right. With wrong place setting, you might profoundly disappoint your guests. Since, people in different parts of the world practice it differently; coming across a standardized form becomes really difficult. The good news, however, is that you can learn place setting skills in very little time. So, don’t disappoint your guests with bad place setting, impress them with your new skills developed with the help of place setting templates. Templates with appropriate samples and examples help beginners learn the ropes better. Place setting is a tricky art, no doubt, but you can always learn it from Place-Setting-Templates. You can download these templates from the internet. Although, there are many online sources that deal in such templates, only a few can be considered authentic. Choose your source keeping factors like price; suitability etc. in mind, and you will pick up place setting skills in no time.